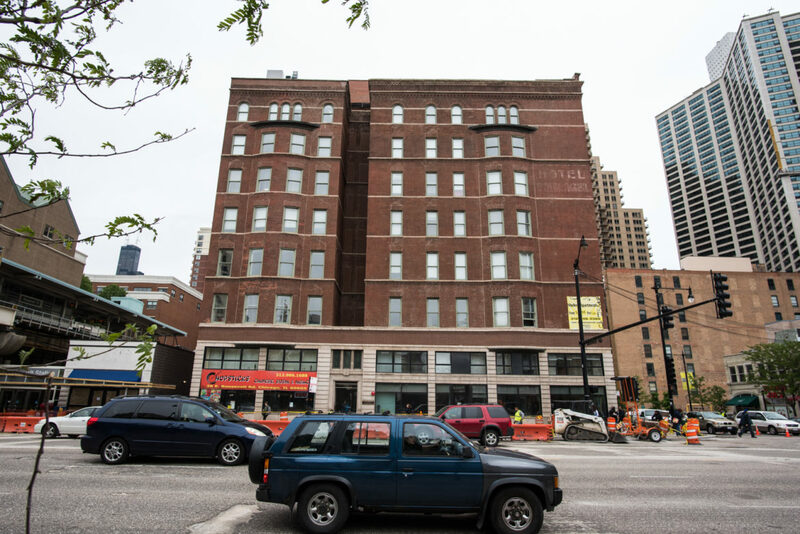 The Roosevelt offers apartments starting at $750 a month in the rapidly developing South Loop neighborhood. It is largely marketed to college students. More than half of renters in Chicago are paying 30 percent or more of their income in rent, an amount that a federal guideline has defined as unaffordable. The percentage of renters in the city paying more than they can afford jumped to 53.7 percent in 2013 from 37.9 percent in 2000, according to Census data. The 30 percent threshold is based on a federal guideline established in 1981 that families in public housing could pay no more than 30 percent of their household income for rent. The assumption is that spending more than this amount diminishes a family’s ability to spend on other necessary items, such as food, clothing and transportation. The guideline has been widely used to measure affordability for all renters, even though some economists say the number is arbitrary and shouldn’t apply to everyone. The problem of affordable housing is particularly acute for low-income renters. According to a recent report from Chicago Rehab Network, an affordable housing advocacy group, more than 90 percent of renters in Cook County who earn less than $20,000 per year were overburdened by housing costs in 2010. Median rent in Chicago, including utilities, was about $950 in 2013, up 14 percent from 2000, adjusted for inflation. In Cook County, median rent was about $960 per month, or $11,500 per year. Cook County ranked 11th out of the 102 counties in the state in the percentage of renters who were overburdened by housing costs, according to the report. Statewide, precisely half of all renters were paying 30 percent or more of their income for rent in 2010. Many homeowners are also paying more than they can afford in mortgage payments, insurance and utilities. Almost 46 percent of homeowners with a mortgage in Chicago are paying more than the federal guideline, up from 28 percent in 2000. As we reported last year, more than a quarter of Chicago households signed up for a spot on the Chicago Housing Authority’s wait list, an indication, advocates say, of the need for more affordable housing in the city. These new Census data underscore that for a larger share of Chicagoans, a paycheck cannot be stretched far enough to guarantee a roof over their heads. A bump in Chicago’s minimum wage to $10 per hour on July 1 still won’t be enough to support a family, according to a living wage calculator that measures the cost of living in cities across the nation. More than a quarter of Chicago households–more than 282,000–recently turned to the Chicago Housing Authority in their search for a better or more affordable home. The households are vying for an apartment in public housing or a housing voucher, either of which could be a step up from their current living situations. paying more than 30 percent isn’t so bad when you don’t own a car. A lot of people that live within the city don’t have a need for one. I’d pay more in rent to have a nicer place if I didn’t have to drive to work everyday. Makes me wonder if the 30% threshhold is outdated in today’s world of stagnant wages and unstable economy. It wouldn’t be outdated. That more and more working people live in conditions where they can’t save any money for the future is indisputable. Right now they might be doing okay, paycheck to paycheck but when people can’t save… they are poor. We don’t throw out the standard for unaffordable housing when many people become similarly unable to afford it. We must consider instead about access to housing for working Americans who likely will not see housing get more affordable or see wages rise or see that the culture of layoffs and high turnover improves. Can anyone tell me why building affordable housing is illegal then? It seems awkward to make the minimum legal cost to build housing very high then force other people to pay even more(for the same thing) to subsidize the building of overpriced units for those who couldn’t afford it in the first place, thereby creating a shortage which in itself also drives prices higher. I would suggest that this is the plan and everything else is lip service. If you look around at rent levels, the housing voucher program is ruining affordable housing. The rent prices in the poor areas are very similar to rent levels in nicer blue collar areas. Why? Why should an apartment valued at 100k rent at 1,000 in a nice area when apartments valued at 30k in a poor area get $900? That’s because that $900 is mostly paid by housing vouchers which are generally accepted in poor areas. Why not let the market set the price in poor areas? Let the tenant pay 300-400 for that apartment outright. It’s a waste of government money to prop up rent values that high. The landlords want to rent to low income, bad credit tenants on the voucher program because they get more money per unit. But in the end, you are left with high rents and no affordable housing everywhere.